A few years ago, when I was a fresh faced graduate, I watched David Cameron win the election and decided that I didn’t much care for living in the UK anymore. I studied English and Philosophy and because the world isn’t exactly crying out for Philosophers, ESL Teaching seemed like a fairly good option. Then, like now, I struggled for money. I saw jobs advertised in amazing places but offering a rubbish salary, no accommodation, and no travel allowance. Out of the question for me. Then, just after Christmas that year, something appeared in my inbox. Free accommodation, paid-for flights, a decent enough wage, barely any hours (2 every evening, and a day trips on Saturdays – perfect for an apathetic person like myself). 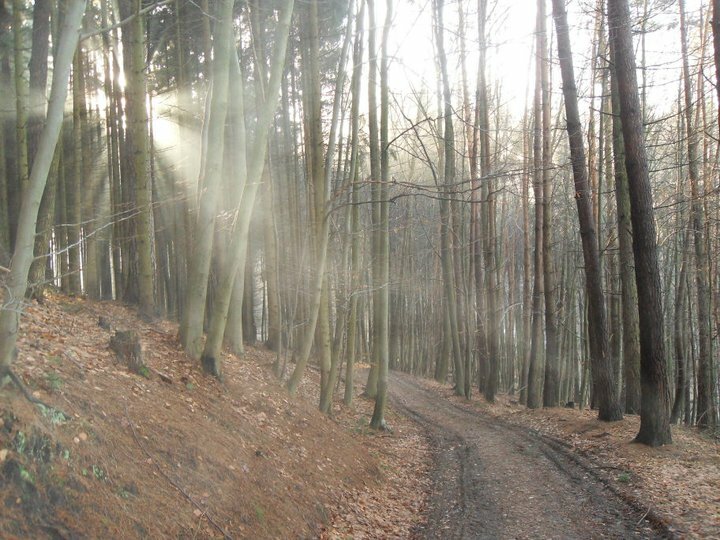 It was in a mountain range called the Odenwald, in the German province of Hesse. Why not, I thought. They warned me in the induction email that the location of the school was isolated. The “village” consisted of my academy, a small shop and a pub. The nearest big town was called Darmstadt, about 45 minutes away by bus, which scarcely ever went through the village. In response, they had made the school as self-sufficient as possible – there was a live in chef who served us three meals a day, a gym, a music studio, and a fairly decent library. 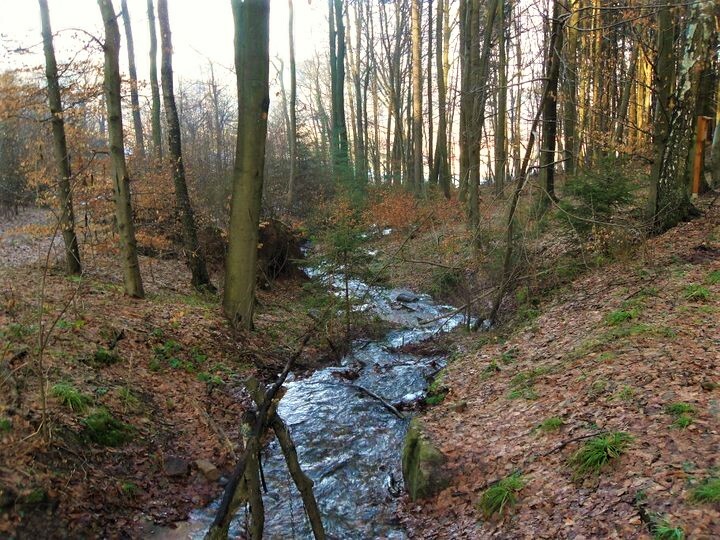 Because I only worked for two hours each work day, I found myself in the library or out walking in the woods around the academy – and that’s where I really discovered what the Odenwald had to offer. 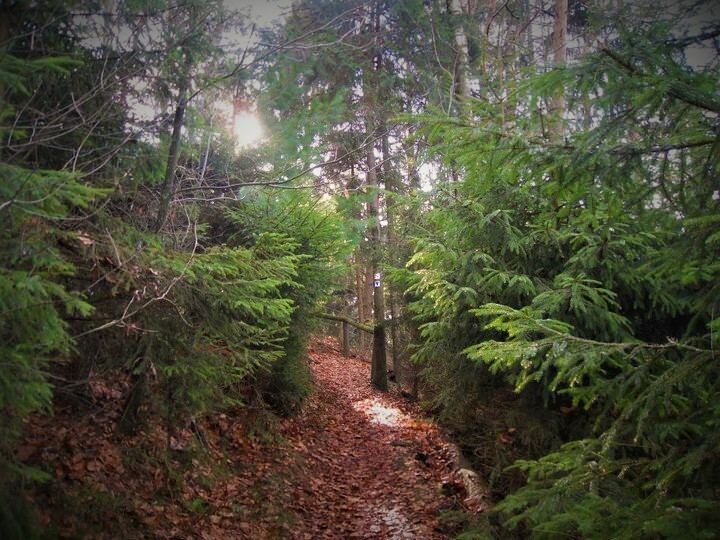 Walking around the woods was like stepping into the page of the Brothers Grimm. 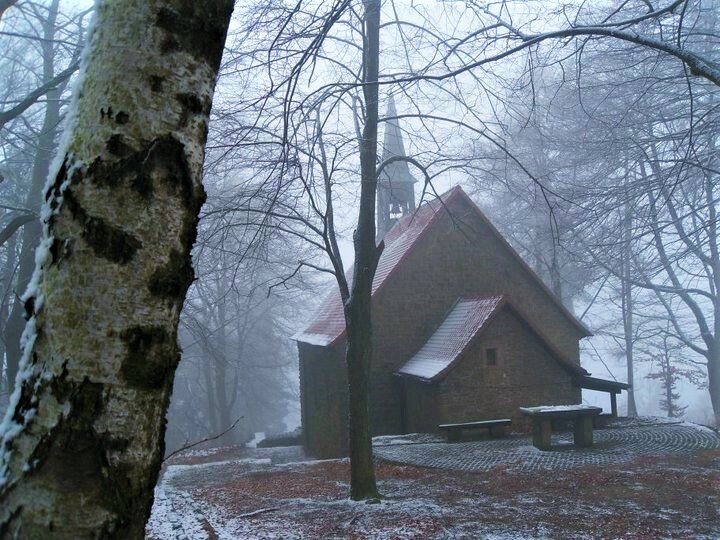 The Odenwald is a low-level mountain range in the South-West of Germany, bridging Bavaria and Hesse. 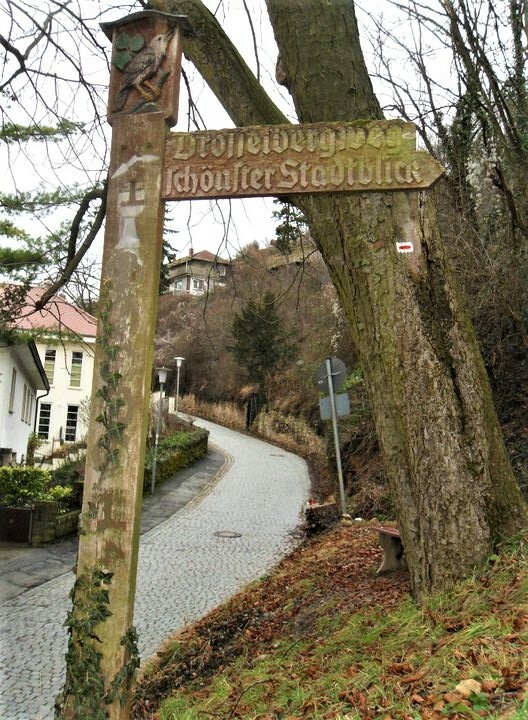 The area has multiples connections with the myths and legends of Germany – this area is home to Frankenstein Castle. 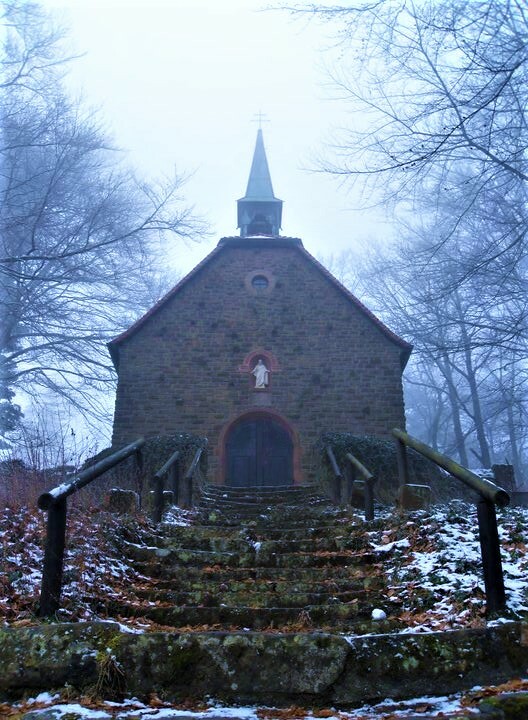 A headless man is said to have been seen near the bowels of Heppenheim Castle, as well as apparitions of the devil spotted in the dense forests. 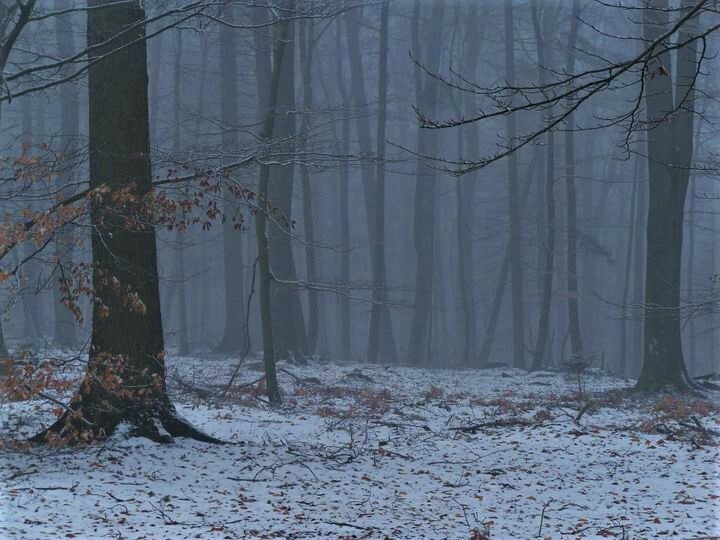 There is something about the place that feels unsettling, despite the beauty – something that makes you understand why children would leave a trail of breadcrumbs just in case they got lost. Despite the lack of stimulation working in the academy, I never got bored. 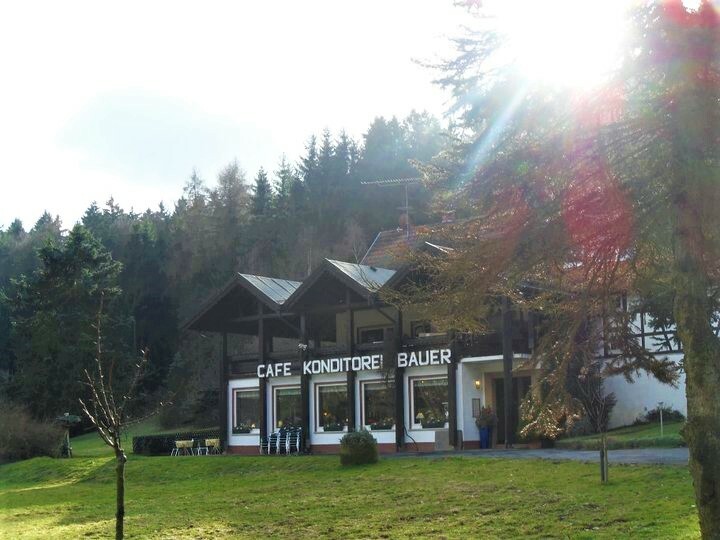 There was always beauty to appreciate – the little rivers that broke the silence; the picnic benches, set deep within the forest; the abandoned church at the top of one of the mountains; the little café where I once saw baby deer playing in the snow whilst I ate apfelstrudel. 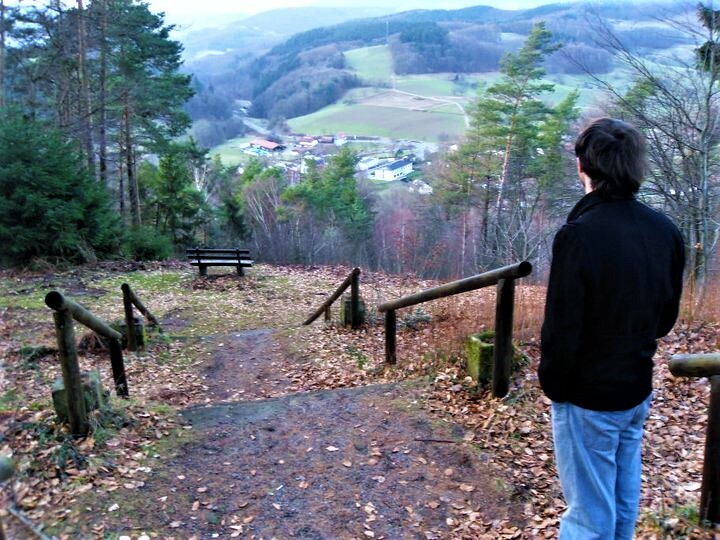 I was living in a cliché of the German countryside. 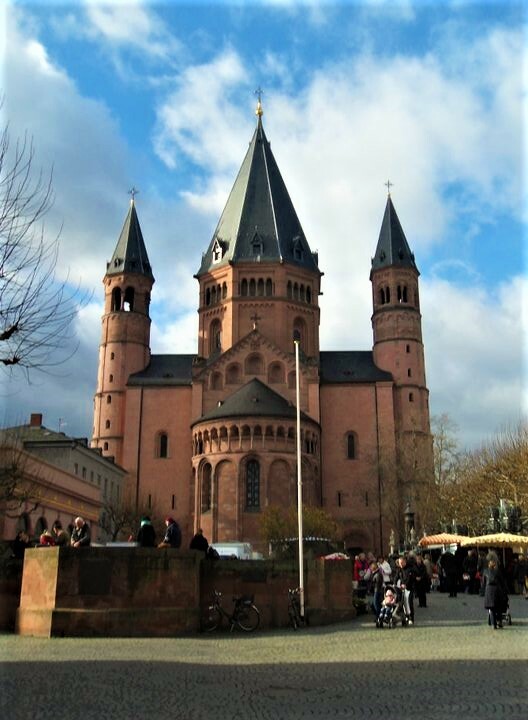 On Saturdays we went on day trips to the surrounding cities, Darmstadt, Mainz, Frankfurt, Heidelberg, Heppenheim. They were fine. 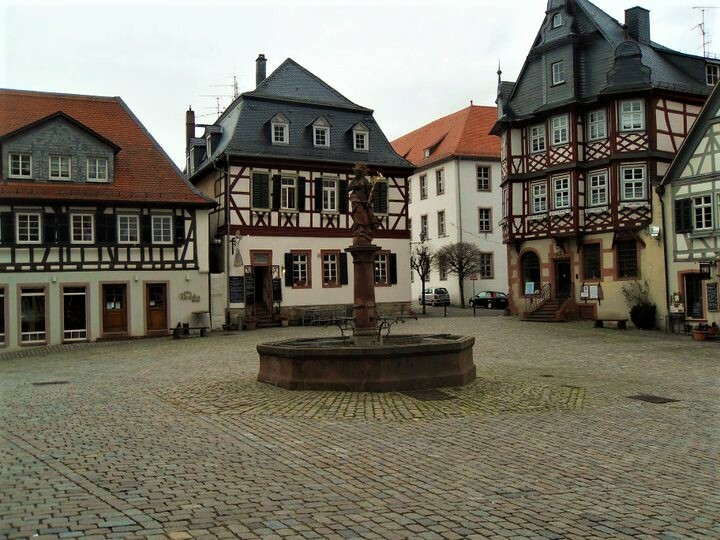 They seemed to represent the German image that I wasn’t so fond of – the pomposity and splendour and chocolate box houses didn’t seem natural in comparison to the landscapes surrounding The Odenwald. 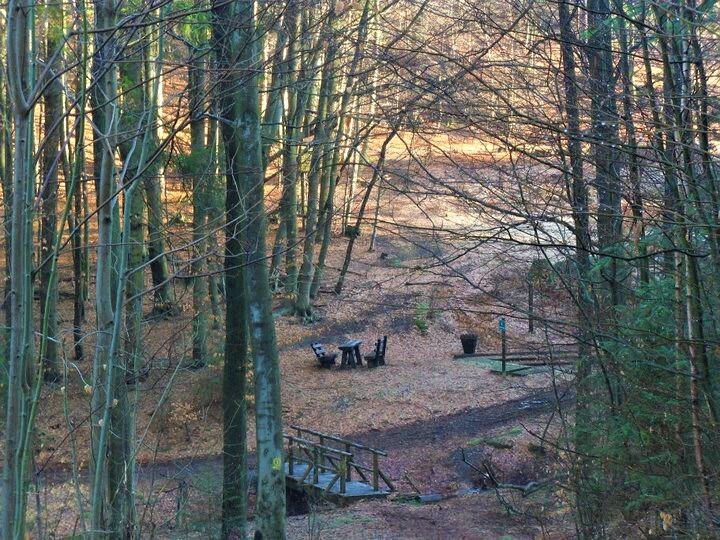 I only stayed in the Odenwald for 3 months. It was a little like what I imagine living in Winterfell might be like. It wasn’t always the most memorable experience – there were a lot of days spent in the library when it snowed too hard, or in the gym when I felt like I’d eaten one too many cream cakes from the canteen. 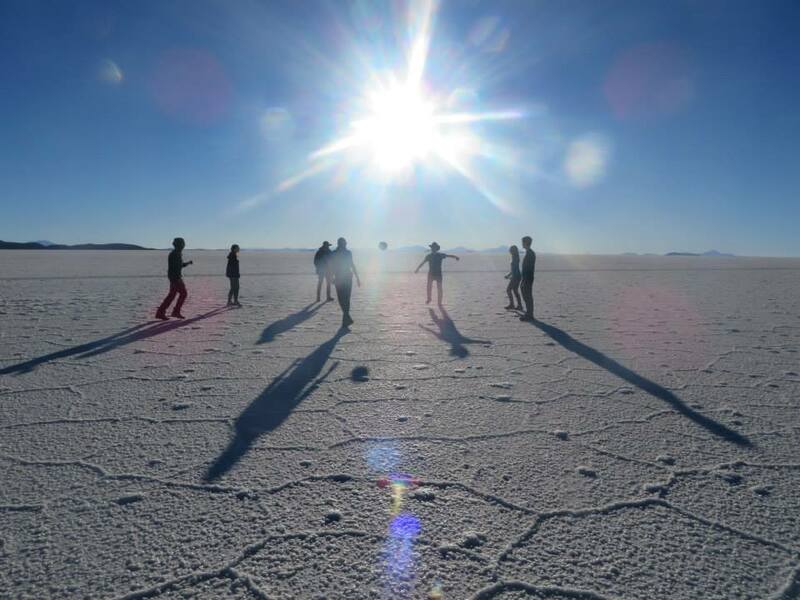 But I wont forget my short time in this weird, beautiful forgotten corner of Europe.